When it comes to the best smartphones in the market then Samsung comes in front and its Galaxy Note series contains lot of such devices. 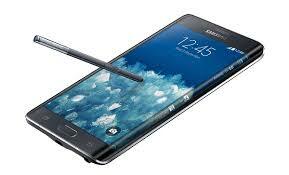 Most recent example is Galaxy Note 4, which is most powerful among all the smartphones in the market. 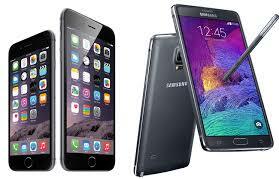 For System on chip and display Galaxy Note 4 offers a substantially larger than its predecessor or Galaxy S5. 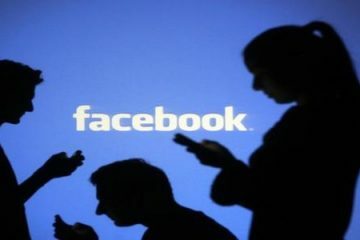 It has received a new Qualcomm Snapdragon processor 805, the panel QHD – both components were predicted six months ago. This SoC (system on chip) can be called a small evolutionary step, the model 805 is based on the architecture ARMv7, that is, and it is limited to 32-bit computing. The basic structure has not changed: Qualcomm uses quad-core CPU Krait 450 c GPU Adreno 420. Compared with Krait 500 cores, which were used in the same Galaxy S5, fresh processor delivers higher performance per megahertz. Furthermore, the new CPU clock frequency is higher. If Snapdragon 801 can run up to 2.5 GHz, the Snapdragon APQ8084 805 reaches speeds up to 2.7 GHz. Cache (16 KB L1 per core and 2MB L2), and process technology (28 nm) have not changed. More significant changes have occurred with the GPU in Galaxy Note 4. Compared with GPU Adreno 330, not only a new GPU supports more advanced graphics standards (including instead Direct3D 11.2 9.0c), but also gives a higher level of performance. This was possible due to the higher maximum clock frequency, which in the case of Snapdragon 805 is 600 MHz. But the number of stream processors remained unchanged 128. Significant changes have affected the memory controller (64-bit dual-channel instead of 32-bit dual-channel), which works with 3 GB of RAM, support resolution camera (55 MP instead of 21 MP) and Bluetooth 4.1 instead of 4.0. But Snapdragon 805 compared to its predecessor is not only to add, but cuts. As often happened earlier at Qualcomm, chip APQ has no built-in modem. This gives much more possibilities, depending on the needs of the user can count on the support of a larger number of communication standards. In the case of Galaxy Note 4 Qualcomm and Samsung support LTE Cat 6, which allows for download speeds of up to 300 Mbit / s mobile networks; from Cat 4 we get only half. Of course, old standards supported and HSPA + and others. The combination of SoC and the modem was not entirely new. At the same Samsung model Galaxy S5 LTE-A is also based on the two components. The new SoC, the new camera: Samsung has replaced all the components. What has not changed, so it is integrated into the SoC module WLAN. It supports 802.11ac standard in the 2.4 and 5.0 GHz that is quite modern standards. Interface Samsung has expanded support for NFC and infrared port – both standards are already known from previous smartphone Korean company. As for the wired connection, there was a good old port micro-USB. Surprisingly, Samsung has decided to abandon the port USB 3.0, previously added. The reasons are not named, but probably they are due to poor sales of the corresponding cable that had to be bought separately – in the package it was gone. Yes, above written information explained that how Galaxy Note 4 contains the most powerful hardware and yes its performance is also amazing. On one side, Note 4 is going to a hike and on another side, a parallel rumor regarding the Galaxy Note 5 is going on, which seems pretty interesting.